A restaurant owner left the most heartwarming note for a person who was digging through her trash for food. I would rather give someone work than food stamps, but food stamps have their place in today’s society. Especially under the Progressive boot heel of the current administration. There are a lot of hungry people out there. 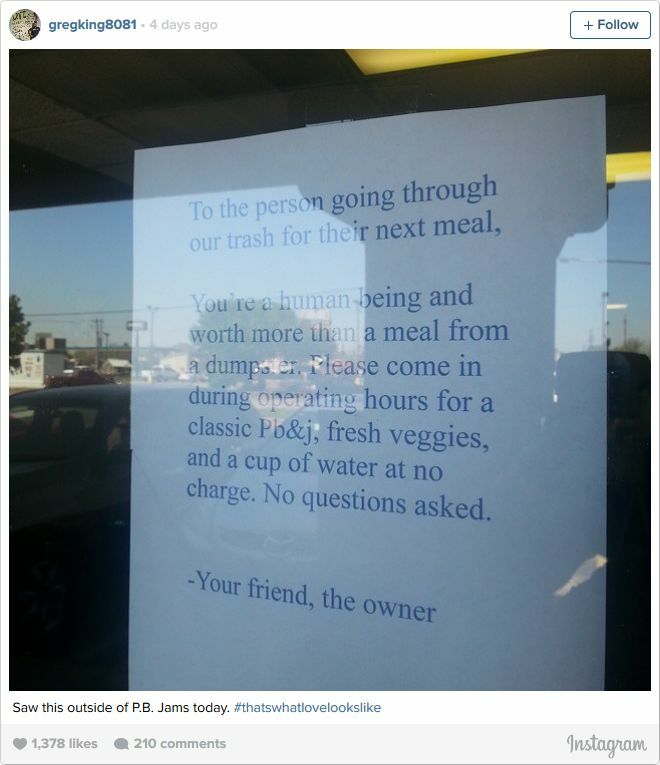 When I saw what this sandwich shop owner did, I felt myself tear up. I can’t stand to see someone go hungry like that either. This is what I call true Christian charity and I hope the person looking for food hears of this and takes Ashley up on her generous offer. But for the grace of God, there go most of us these days. I really hope the person comes back. Ashley Jiron owns a restaurant in Oklahoma. One day she noticed something odd. She could have done what so many do when they come face to face with someone who is desperate — ignore it, decide it isn’t her problem, and move on. But instead, she posted this sign on the door of her restaurant. It’s easy to forget that more than 600,000 Americans won’t have a home tonight. It’s maybe even easier to forget that there are over 17 million families in the U.S. who don’t have enough to eat or worry about where their next meal is coming from. When politicians talk about cutting government spending, food stamps is often the first thing on their lips. Too often, we look away from people who are experiencing great pain or need. Too often, we think they somehow deserve it. Too often we can’t put ourselves in their shoes. “I think we’ve all been in that position where we needed someone’s help and we just needed someone to extend that hand. And if I can be that one person to extend that hand to another human being, then I will definitely do it,” Jiron said. Not only is Ashley offering a meal, she says she won’t take the sign down until the person comes in to eat. Most people at one time or another in their lives have been down on their luck… many have been hungry and know what it feels like. This person should put their pride aside and take what is being offered – they should not go hungry. When conservatives talk of food stamp cuts, they are also speaking of job creation which is the cure for this type of situation. 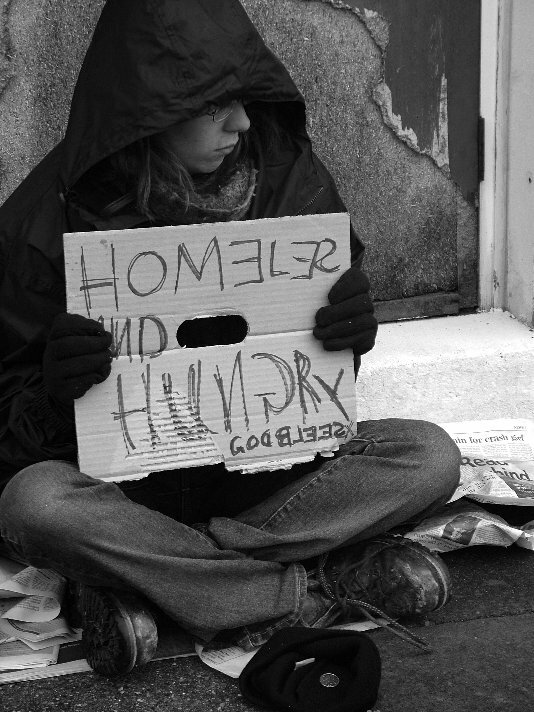 No one wants to stay homeless, poor or hungry. Help those in need by feeding them and then helping them back on their feet, not with a permanent place in the welfare line. Ashley is a good, kindhearted woman and we are told to help the needy. That’s exactly what she is doing.